Shakespeare Conquest is one of the funnest classes you can take, as well as one where you’ll experience the most growth! 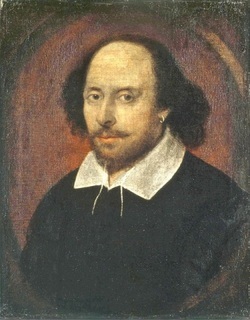 Sure you’ll find yourself dropping words like “forsooth” into everyday conversation, and laughing at inside jokes that only you and fellow Shakespeareans will understand, but beyond that, you’ll be immersed in another language that will help grow your brain, help you understand the multitude of Shakespeare allusions in our culture and literature, and even better understand the King James Bible. You’ll learn to write better, present your ideas more persuasively, and be more comfortable with your peers. We hope our students dive right into class and choose to do the reading and writing work, memorization, and participate in the games, acting/tech crew in stage, (as well as be crowned Royalty in a very high brow ceremony), so they can emerge a more intelligent and polished human being (while having a good time! ).